Hello everyone! Today I have for you swatches of Colors by Llarowe‘s summer 2015 collection – Overboard. This collection is centered around the movie Overboard with Goldie Hawn and Kurt Russell. It will be available for pre-order today, 6/15, from 1:00 pm to 8:00 pm MDT. 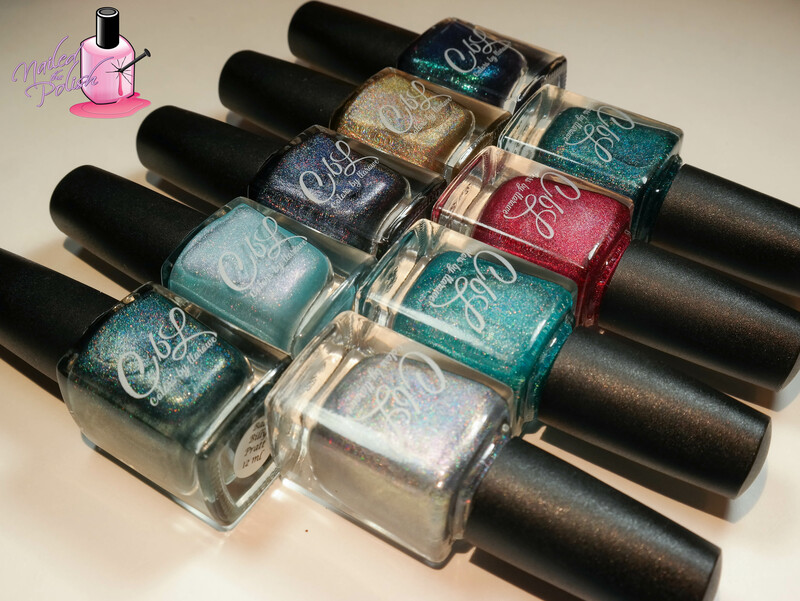 This 15 polish collection consists of three cremes, three shimmers, eight holos and one duochrome shimmer. Schwartzman & Heineken is a bright peach creme. Shown here is three coats plus top coat. This polish has a great formula along with great coverage. I had slight bald spots at the base of my nail after my second coat which is why I needed a third. I’m sure that with a lighter application, this can be easily avoided. Helluva Day at Sea Sir is a milky light blue creme. Shown here is two coats plus top coat. Great self leveling and application. This polish (as do the other two cremes) dries to a semi-matte finish so a top coat is recommended. Annie is a vivid Tiffany blue creme. Two coats plus top coat. I’ve got no complaints here! This polish great across the board. Katarina is a creamy light aqua with intense violet shimmer. Pictured is three coats plus top coat. Such an amazing formula! I was expecting this polish to streak as many shimmers do but it didn’t! I did have a slight VNL that I couldn’t quite get over after my second coat so I added a third. Buh Buh Buh Buh Buh is a periwinkle blue with micro flakes and intense violet shimmer. Shown here is two coats with top coat. I also had VNL with this polish but it wasn’t as noticeable so I skipped the third coat. Other than that, another great polish! Hillbilly Harlot is a neon pink coral with subtle violet shimmer. Two coats plus top coat. Not only does this polish have a perfect formula resulting in an amazing application, it’s a perfect color for summer! I’m definitely digging this one! Grant is a navy to green duo chrome with added purple and green shimmer. Pictured is two coats plus top coat. My swatch photos do not do this polish justice. It is so stunning in person! The shift is really strong but for some reason my camera only picked up a portion of it. Another polish with great formula! You can see more of the shift in this next shot along with the added shimmers. Get ready for some fancy shots..! 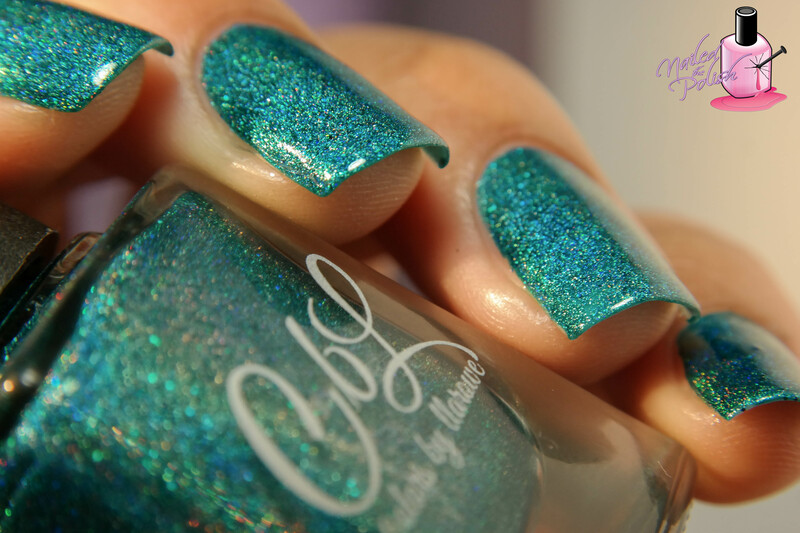 Arturo is a creamy light aqua with intense violet shimmer and scattered holo. This polish is the “mate” to Katarina. Shown here is two coats plus top coat. I love how soft and delicate this polish is! This polish has a wonderful formula and an exceptional dry time. I can’t get over the violet shimmer in this polish – so gorgeous! No, I’m Still Tacky is a bright cherry red scattered holo with lighter red glow. Shown here is ONE coat plus top coat. Don’t think I have to say much about it’s formula given that it’s a one coater 😉 I should have taken a picture of my swatch notebook (where I jot down notes of the polishes I swatch) because next to this one I literally wrote “Badass!”. The glow completely transforms this polish into something I’ve never seen before. And quite frankly, I don’t really know how to explain it! Luckily, I was able to pick up this glow in my swatch photos. That red glow is so intense! Oh and look, there’s even a bit of pink flash added in! Just sitting here gazing at my laptop screen and smiling… definitely not creepy at all. Edith is an intense silver linear holo with light blue to lavender undertones and golden pink shimmer. Shown here is two coats plus top coat. This polish takes on different colors in different light – silver, blue, lavender, pink, and a few other colors as well! So I know there are a million and one silver linear holos out there but trust me when I say you NEED this one. The light blue/lavender undertones are gorgeous, the liner holo is so intense, the formula is perfection. It’s just so perfect. So perfect that you get two fancy photos! See, I told you that you need this polish! Bad Billy Pratt is a deep rich teal linear holo. Shown here is ONE coat plus top coat. Of all the teal holo polishes I own, this is definitely the darkest. Since it is so rich, it was a little difficult to clean around my cuticle… but it’s totally worth it! 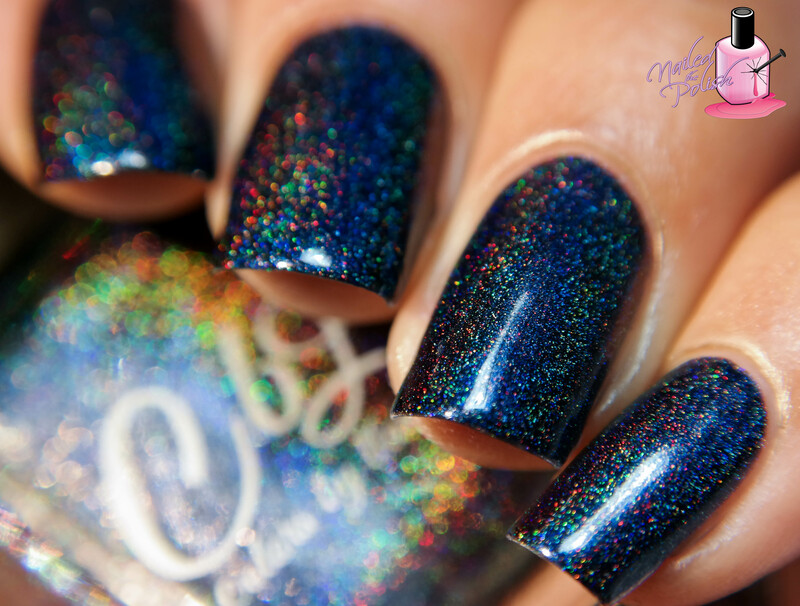 Falsetto Child is a midnight blue almost black linear holo. Shown here is ONE coat plus top coat. The holo in this polish is so, so intense which makes me one happy holo addict! The shade of this polish makes it unique to my collection which also makes me happy! Definitely one of my favorites. Because this polish is just so awesome, here’s one more pic! Mean Dean Proffitt is a bright teal linear holo with teal and turquoise shimmer. Pictured is ONE coat plus top coat. What I love about this polish is the added shimmers. The teal and turquoise shimmer is almost glitter like (you can see it in the bottle above) but doesn’t overwhelm the polish. It gives this polish another layer that makes it stand out from your normal teal holo. Look at the added shimmers – They’re so pretty! Last up is Joanna – an intense rich gold linear holo. Shown here is two coats plus top coat. Joanna is the gold holo of my dreams. She’s everything I’ve ever wanted and much, much more. Intense doesn’t even begin to describe the holo goodness that’s in this bottle. I mean just look at my swatch photo – and that’s under regular daylight bulbs! 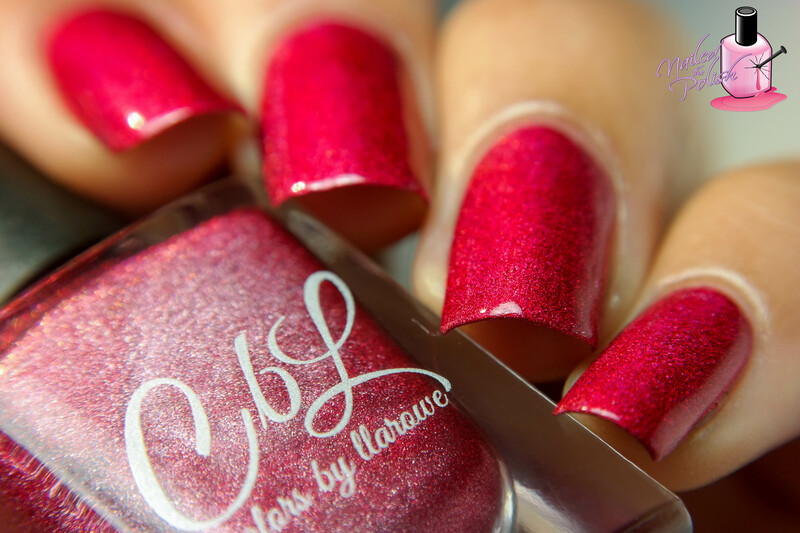 CbL’s Overboard collection is another CbL collection that is to die for! All over my notes were the words great, amazing, perfect, and love. The cremes are great, the shimmers are great, the holos are great! The formulas are wonderful, dry times are amazing, and all of them level perfectly. This collection will be available for pre-order here from 1:00 pm – 8:00 pm MDT June 15th (today!). The three cremes are priced at $6.00 and all others at $12.00. The full collection will also be available at a discounted rate of $141.00 total (13% off!). You can also check out Colors by Llarowe on Instagram and Facebook for updates and more photos of this awesome collection! Love all the blues in this collection!